We’d like to introduce you to 13-year-old Randy, but before we do, we need to get something off of our chest. If you have read through a few of our kids’ bios, you’ve probably seen a pattern emerge. We keep talking about how many of our children have had childhoods marked by instability, inconsistency, and uncertainty. We talk about how these circumstances have created a fundamental lack of trust in adult caregivers in our children, which manifests in a variety of ways. To the casual or first-time reader, it may appear that we’re just saying these things over and over because we have nothing substantive to say about a specific child. That’s not the case at all. The fact is, these issues are very real for many of our children and we want to stress the need for and the positive impact of stability, consistency, patience and trust. This is especially true for kids like Randy. Randy has never had the “luxury” of a stable, supportive home. His caregivers disappointed him and let him down time after time. As a result, he doesn’t always let himself believe that a new caregiver will be any different than the ones he knew growing up at home, and he acts out at times in a response to those emotions. But let us tell you something else about Randy. 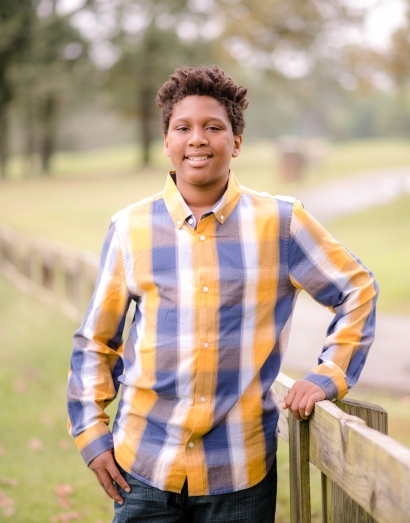 He is a straight-A student and was recently accepted into a special arts and science magnet school. This is one smart kid who is in desperate need of someone to believe in him and provide him with the structure, consistency and stability that he needs and deserves. He has so much potential – he just needs the right place and the right someone to realize it. Maybe that someone is you.